Desk Report: Prime Minister Sheikh Hasina has expressed deep shock and sorrow at the death of Public Administration Minister and Awami League Presidium Member Syed Ashraful Islam. In a condolence message, the prime minister recalled with profound respect his outstanding contributions to the country’s politics. She said the country and nation are now deeply shocked at the death of a politician like Syed Ashraf. The prime minister said Syed Ashraf, the able son of Shaheed Syed Nazrul Islam, the acting president of Bangladesh’s first government and one of the four national leaders, was completely an honest personality, efficient organizer and a leader of the mass people. 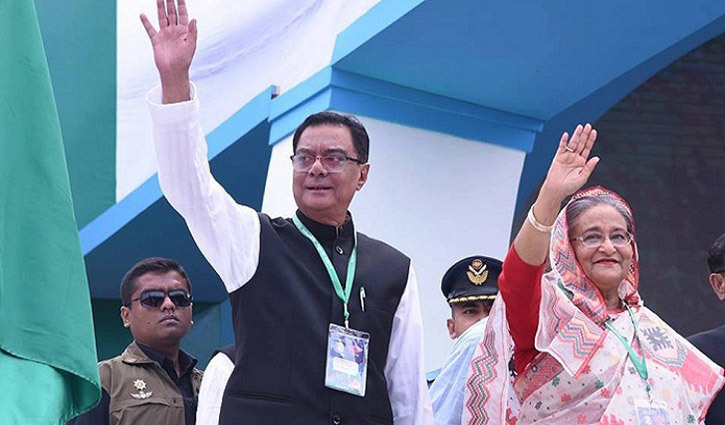 “The nation has lost a very honest, dedicated and courageous leader and his death is an irreparable loss to the country’s politics as well as the Awami League,” she said. Sheikh Hasina also remembered with deep gratitude his strong role during the bad time of the 1/11. “This public leader will remain alive in the hearts of the people forever for his works,” she said. The premier prayed for eternal peace of the departed soul and conveyed profound sympathy to the bereaved family. Syed Ashraf, former general secretary of Bangladesh Awami League and a valiant freedom fighter, died at a Bangkok Hospital in Thailand on Thursday night.